You and I and the rest of Bollywood are still celebrating Rohit Shetty’s Simmba that released on December 28. But the filmmaker himself has moved on. He’s onto his next cop film. The ambitious Sooryavanshi starring Akshay Kumar. It’s their first collaboration. And after the magic he’s produced with Ajay Devgn as a cop in the Singham films and now Ranveer Singh in Simmba, I can hardly wait for Rohit to direct Akshay as an Anti-Terrorist Squad officer in Sooryavanshi. He intends to create a cop world of superstars in Bollywood. Just as Hollywood has its Marvel superheroes in the Avenger series. And later, after Sooryavanshi, don’t be surprised if Rohit makes a film in which all three of his superstar cops come together. That would be something! “Let’s see,” Rohit said when I asked him about this. There’s also the germ of an idea for a woman superstar cop film. “I want to do it and we are developing it,” he said with a gleam in his eye. Meanwhile, Simmba continues its indefatigable run at the box office. In its third week, its global collection has crossed Rs. 300 crore. This is Rohit’s eighth consecutive Rs. 100 crore film and his third to go over Rs. 200 crore. Q. When you were making Simmba, if Ranveer Singh took home his character Sangram Bhalerao every night what did you take? A. I took the problems that might arise the next day! Actually, I don’t take home anything. It’s important for me how the next day’s going to go. I live my films. When I’m shooting, every day I’m in that zone, I’m thinking about the film 24/7. I relive it, analyse it, grow with it. And I live the characters that live in that world. Q. Why did you create the character Simmba when you already had Singham? A. Because Simmba is corrupt, he’s notorious and naughty. He would have been boring if he was like Singham. The character would have had no dimensions. My audience would have said, “Arre, this is what Singham does!” I was asked during promotions that when I had a brand like Singham, why did I make Simmba. The same people asked me in 2011 why I was making Singham when there was already Dabangg. But Bajirao Singham and Chulbul Pandey are two different characters. And if Singham carved out its own identity then I’m sure so will Simmba. Q. Did you flesh out the Singham and Simmba characters based on the physicality and capability of Ajay Devgn and Ranveer Singh respectively? A. No, I first write the film. When I saw the Telugu film Temper I knew we could make a good Hindi film out of it if we just borrowed its character and changed everything around him. At the time Ranveer was not on board. I wrote a character sketch for Simmba and when I was shooting an ad film with him, I asked Ranveer if he would like to do it. Today when I see the film, it’s obvious nobody could have done justice to Simmba or played the role better than Ranveer. For life he will be known as Simmba. With me what happens is that if I have a story idea then I get the actor. It’s been that way with Ranveer, Ajay, Shah Rukh Khan. The story tells me which hero is going to play the character. I know his limitations. And what he can bring to the role as an actor and a personality. I tweak the character keeping in mind his capabilities, his fan following, what he’s good at and what I should avoid in presenting this actor as that character. A. With the last three or four films, a Rohit Shetty brand has been established. What is most important for me is that family audiences come to see my films. People say I make mass films. That is secondary. A film will only do big business in the second week if families come to see it. I keep that in mind and cater to them. People think I will show cars being blown up, have songs, lots of action, comedy and that will be the agenda of my film. But no, the first thing I work on is whether it’s going to be an action film, comedy or family entertainer. And when presenting the film I remember that it’s got to cater to kids, senior citizens, all the mummies and aunties, and see to it that they don’t get uncomfortable. Q. What’s easier to shoot, comedy or action? A. Neither! And I have no favourite genre. I go with an entertaining script. At the end of the day, I must give my audiences 2.5 hours of a good time. I make them laugh, I make them cry, I keep them thrilled. And this can happen in a genre like comedy or action and even in a love story. My thing is that it should be wholesome entertainment. Shooting comedy is a task by itself. If you see Golmaal Again, it all looks so easy. That’s the sad part of comedy. What looks so simple on screen is the most difficult genre to shoot. If you don’t have the right actor or the lines are not on point, you can go absolutely wrong. You’re either making the audience laugh or you’re irritating them. Q. The idea of introducing Ajay Devgn as Singham in Simmba, was it like a Eureka moment or you had planned it all along? A. I had planned it. I’m starting to create a universe that’s never happened in Indian cinema. I don’t have superheroes like Hollywood does. So I thought, why not create a cop world? A Bollywood version of Avengers. First Singham, then Simmba, and Sooryavanshi next. I was a bit nervous initially. But if you see, it’s not Singham who’s in Simmba’s universe. Singham is the narrator of the story. And it’s his world actually that Simmba is in. The orchestration comes at the end. It’s not intended to be a shock because Singham is presenting the story. Simmba is the story that happened in his world. 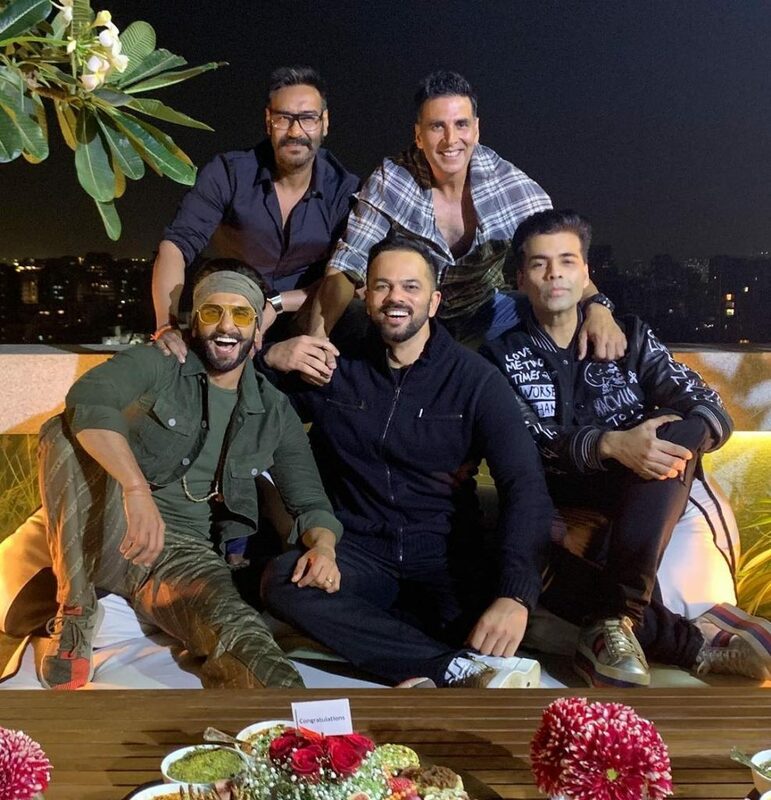 I might write a story in which all three make an appearance – Singham, Simmba and Sooryavanshi, let’s see. Q. Why are you fascinated by the police? A. It started with Singham. And audiences loved the film. The police have a thankless job. But people think they are corrupt. There’s corruption everywhere. It’s in the system itself. And also in the corporate world. After Singham, I became close to the police. I got to know cops, their families, I understood the problems they face. Films like Singham and Simmba leave them with a high. The hero is wearing a uniform. And he’s presented in the right way. They’re happy with me. Q. What about Hollywood cop films? A. I enjoy watching them. But not as a reference point. Their culture is different. The entire way their policemen are natured is different. Their presentation is also different. That’s why it looks fake when we try to do the same. Indian cops don’t wear shoulder holsters, blazers and headsets. It looks fake because that’s not how our cops function. So I see Hollywood cop films only for entertainment. Q. How about a woman supercop film? 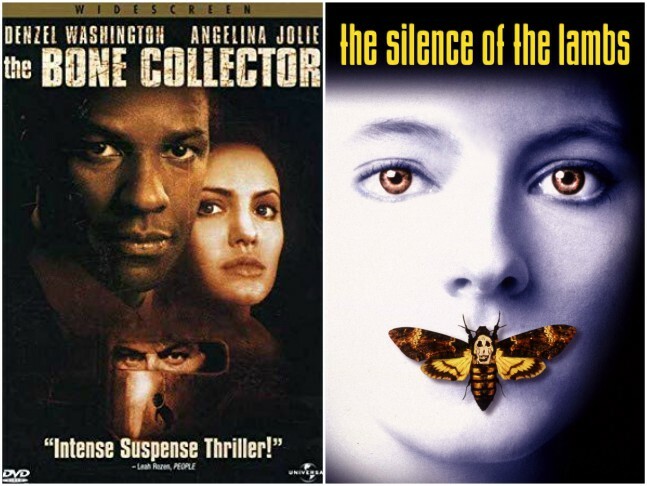 Like Hollywood has its Angelina Jolie's and Jodie Fosters in films like The Bone Collector and Silence of The Lambs? A. I want to do that. In fact, I’m developing such a character. I don’t know if I will direct that film. But, oh yeah, there’s definitely the germ of an idea of a woman cop film. That’s how the universe will get complete, you know. There has to be a woman supercop too. But there’s still time for that. Q. Did the failure of big ticket films like Zero and Thugs of Hindostan earlier in 2018 give you anxious moments about Simmba? A. I don’t think that way because it’s been my experience before. When I was coming out with Golmaal Again in 2017, Salman Khan’s Tubelight and Shah Rukh Khan’s When Harry Met Sejal had not done well. People started to believe that commercial films are suddenly not doing well. But it’s a phase. Sometimes films fail, it’s bad luck, but it can’t have a domino effect. One commercial film doesn’t do well doesn’t mean others will fail too. But this becomes a talking point. We don’t have a theory in our industry. We analyse things the way they happen. There is no method. No formula. If, for example, Simmba had not done well in the North, people would have said it’s because of the extreme winter. For years and years there was no film released on December 28. Now everybody’s saying it’s a new release date! It’s actually not. Nobody knew about it. Even I didn’t. The film is good and it’s being appreciated so that’s why it’s doing well. 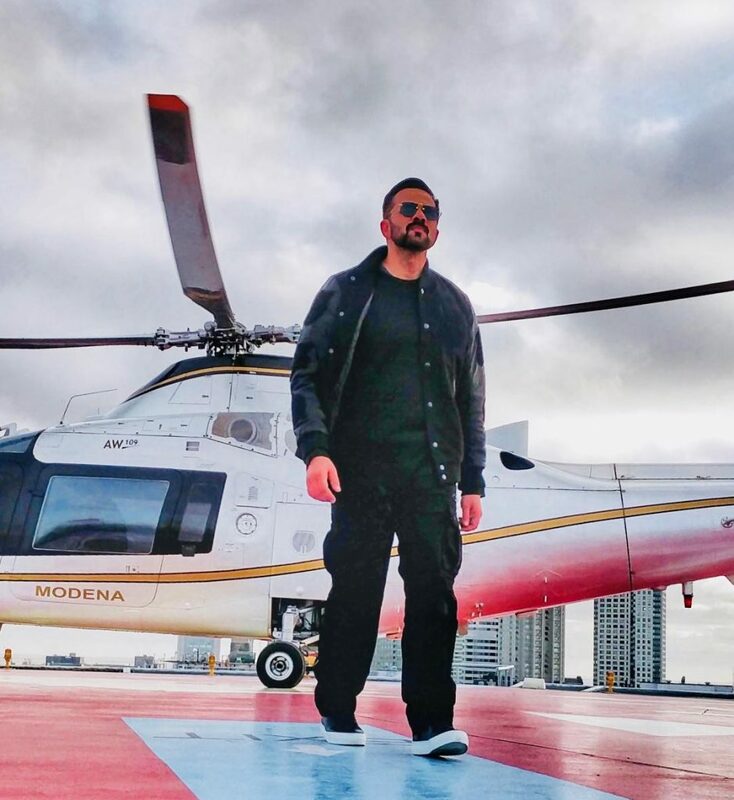 It Simmba didn’t do big business, December 28 would be considered a bad release date. Nobody knows anything. The best thing is make your film and just release it. A good film will run. Whether it’s a commercial film, parallel cinema, meant for the multiplex or single screen. If it’s good, nothing can stop it.